Paninis All of our fresh baked paninis are made with fresh mozzarella, basil, and tomatoes and served with a choice of grilled chicken, veal parmesan, portobelo mushroom, broccoli, spinach, eggplant and more. Ask for our daily special! 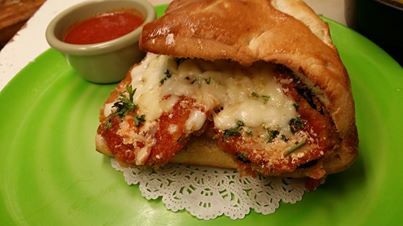 All of our fresh baked paninis are made with fresh mozzarella, basil, and tomatoes and served with a choice of grilled chicken, veal parmesan, portobelo mushroom, broccoli, spinach, eggplant and more. Ask for our daily special!